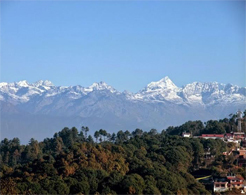 The nagarkot sunrise tour best sunrise point start about 4:00 AM in the morning from your hotels as you have to be at Nagarkot to see the sunrise over the himalayas and we hike to Chagunarayan Temple. CHANGU NARAYAN TEMPLE Chagunarayan Temple is situated on a ridge overlooking Bhaktapur, about 12 km to the east of Kathmandu. Dedicated to the Hindu god Vishnu, it is one of the oldest Tampel in the valley. The temple dating from the Licchavi period is embellished with exquisite wood and stone carvings. So, we drive quite early by privet car in the morning to Nagarkot- to see the sunrise view over the Himalayas and have a breakfast at the hotel in Nagarkot then we start our hiking to chagunarayan which takes about 5 hours. Visit the Temple and have lunch then drive to KTM, and transfer to hotel . Day 01: Drive to Nagarkot & after breakfast Hike to Chagunarayan Temple and drive to Kathmandu. Note: Nagarkot itinerary can be changed as per different situation.